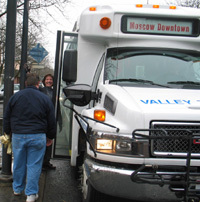 Here’s your opportunity to get involved with the City of Moscow’s Multi-Modal Transportation Plan! Help collect detailed data on bus passenger boarding and alighting on Tuesday and Wednesday, the 3rd and 4th of April. Volunteers are needed to ride the bus routes on those days to collect important transportation data. If you, or anyone you know, is willing to volunteer for a shift, please contact Kevin Lilly, Moscow City Engineer, at klilly@ci.moscow.id.us or (208) 883-7034. Thanks!